Over time, you see something in videogame development that turns the tide. Suddenly everyone wants to ride that wave. Then we get used to it, almost to the point of conditioning. Everyone expects a game to have a feature. Think two genres, the Hack n Slash, and the Platformer. In the hack n slash, you expect huge waves of enemies, crazy combos, and some riddles you might solve. Now think about platformers. You expect crazy level design, tricky jumps, and a spin attack. These have become essentials to their respective genres. 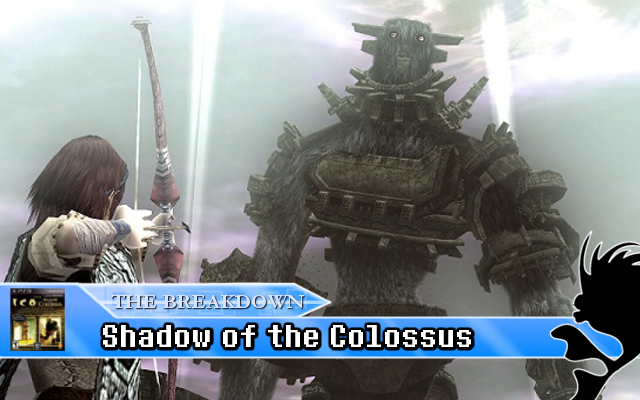 And then Shadow of the Colossus comes in and dares us to change our perception of these genres. Defying the usual conventions of game design, it dared to do away with a few essentials to drive forth its minimalist approach and to engage the player in a way that hasn’t been since in a long time. How did it work out? This entry was posted in Review and tagged Bluepoint Games, fumito ueda, ico and shadow of the colossus collection, Kow Otani, Playstation 2, Playstation 3, ps2, PS3, SCE, shadow of the colossus, Shadow of the Colossus Review, Sony, Sony Computer Entertainment, Sony Japan Studio, SotC, team ico on January 10, 2013 by Steven T..
Picture if you will, the beginning of a console. From the moment it’s in its concept stages to when it’s finally out the door and into the homes of consumers, the company that makes it wants it to be successful. It does everything in its power to prove that the console is worth your hard-earned dollars. Features, controls, ergonomics, power… all of these are important to the console. But most of all, the games make the console, and it is the games that will shape the future of your console. And so, the company picks from a bushel of games to showcase around the launch period to show the public. You want to wow these people to buy your product. Since this is a new console, everyone’s going to go on about the graphics. Well, here’s a game that can wow you, while doing a few nifty things on the side. 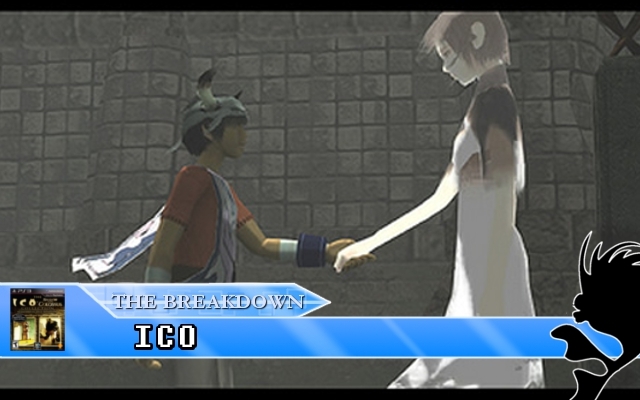 This was the reality back during the PS2’s early life when ICO was released. 10 years later, do those same enamored feelings still hold true for ICO? After the jump, I break down ICO. This entry was posted in Review and tagged fumito ueda, Ico, ico and shadow of the colossus collection, ps2, PS3, Review, team ico, The Last Guardian, yorda on April 30, 2012 by Steven T..